Ted was commissioned to design the Prins Bernhard Cultuurfonds Design Prijs 2017. 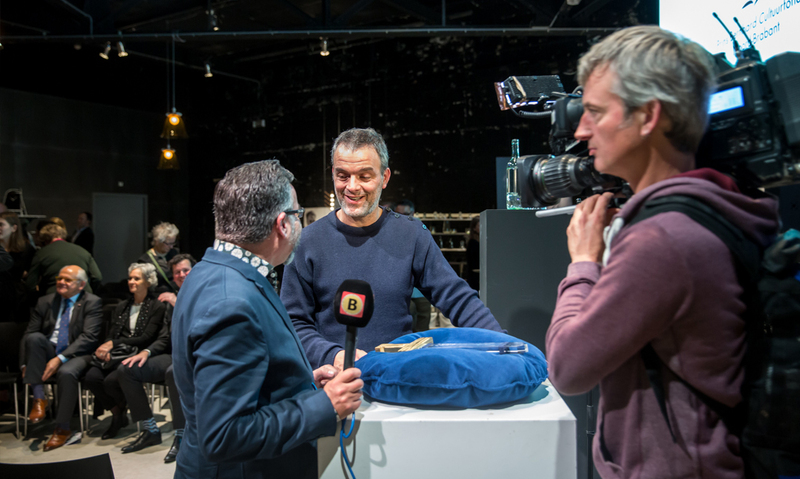 The Award was presented to Piet Hein Eek for his contribution to design. The award, a sword made of acrylic and 3d printed goldplated steel, is a playful reference to the wooden toy made by many kids in their youth. The symbol refers to both the rich imagination and creativity of these youngsters, as well as a knighting ceremony. The award will be presented each 2 years, both to established and up and coming design talent.